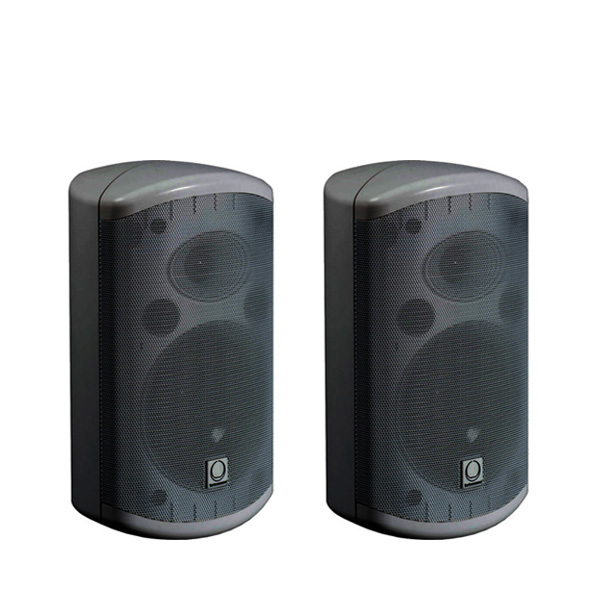 The black IMPACT-55T Compact Passive 2-Way Loudspeakers from Turbosound consist of a 5” low frequency drive unit matched to a 1” neodymium ferrofluid-cooled HF tweeter with an internal passive crossover network that includes an internal line transformer. 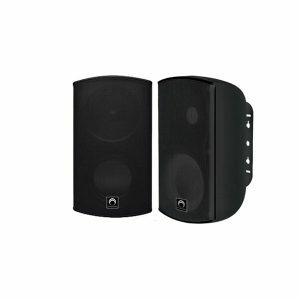 The Impact-55T Loudspeakers provide high quality sound reproduction from an unobtrusive cabinet and are available in black or white, designed to blend effectively into any decor. 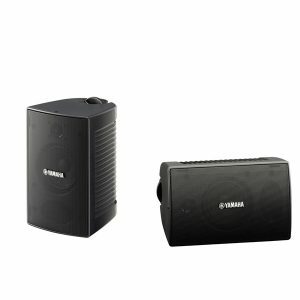 Each loudspeaker is supplied with a multi-tapped internal line transformer for use in 70 and 100V line distributed systems, and also includes a low impedance setting. 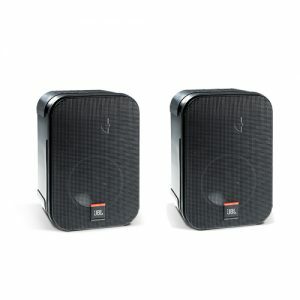 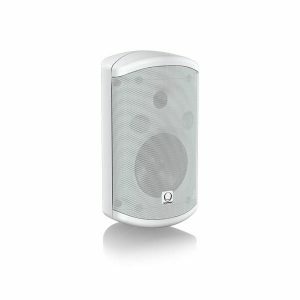 The low frequency range of the Impact 55-T Loudspeakers can be easily extended with the TSB-110 Subwoofer (sold separately). 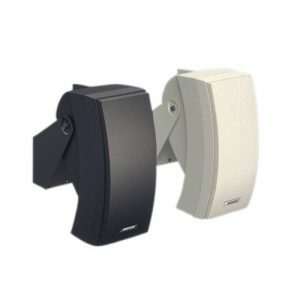 Each Impact 55-T Loudspeaker is supplied with an adjustable wall mounting bracket, which provides the loudspeaker connections as an integral part of the bracket assembly. 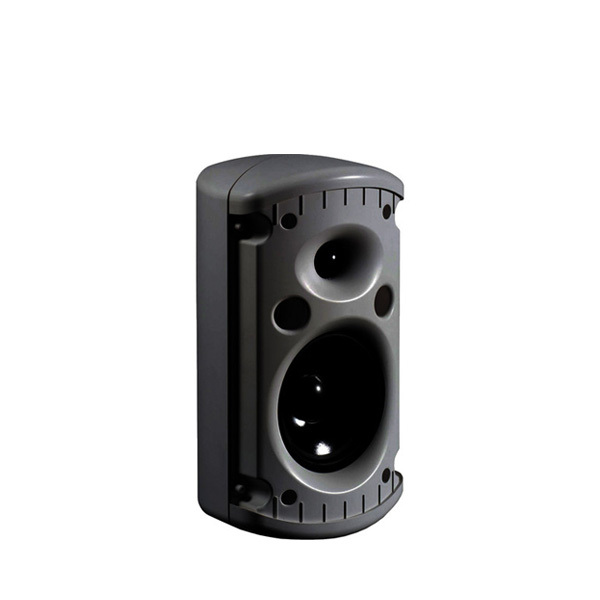 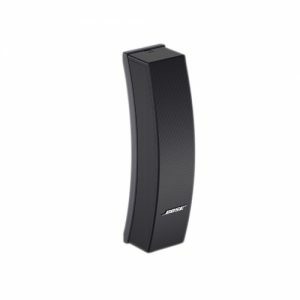 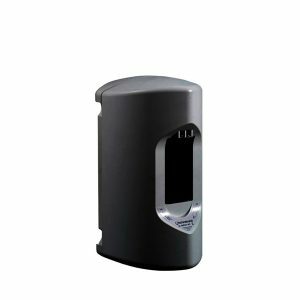 This allows the brackets to be sited, installed, and wired independently of the loudspeakers being available on-site, making the final installation and commissioning of the loudspeaker system a simplified process. The cabinet also provides M6 fixings for use with CB-10 wall brackets, WB-10 ceiling brackets, and OmniMount brackets (sold separately). 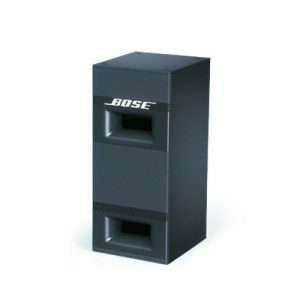 A 3/8” threaded insert is provided behind an EPDM rubber cover at the bottom of the cabinet for use with microphone stands as a spot monitor.